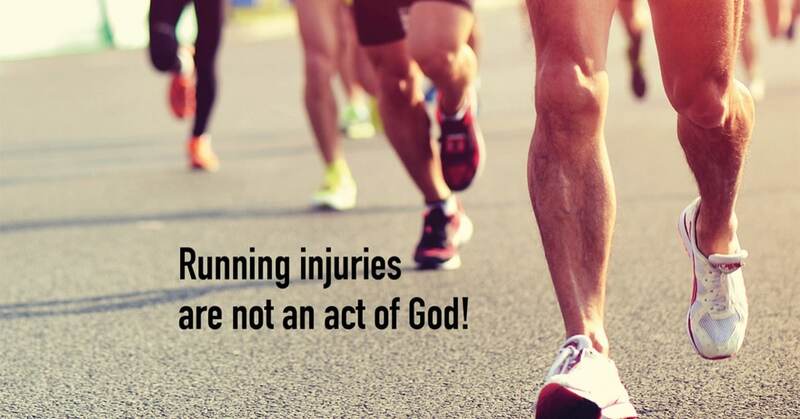 running injuries are not an act of god, so why do we get them? Your training is going like a dream. Your weekly mileage is increasing and your rep times are coming down. Suddenly you feel a nagging pain in your knee or ankle; your first thought is to ignore it but as you run on it doesn’t go away. 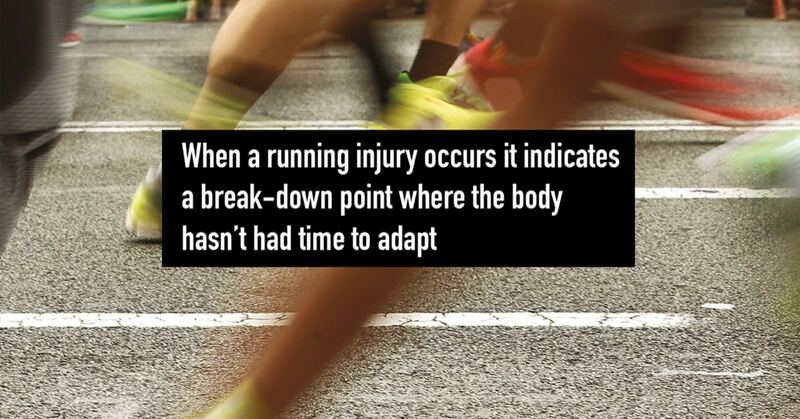 You’ve picked up a running injury just when things seemed to be going so well. Running injuries are the curse of ambitious athletes. Running is an unforgiving sport. As the miles increase along with our fitness it is always tempting to train that little bit harder. We run six reps instead of five, or squeeze an extra mile onto the Sunday long run. Often we can get away with this but remember that running is a high impact sport, so if we are feeling good training loads must still be treated with respect. Sometimes even when we religiously follow a conservative training programme an injury is just waiting to creep up on us. 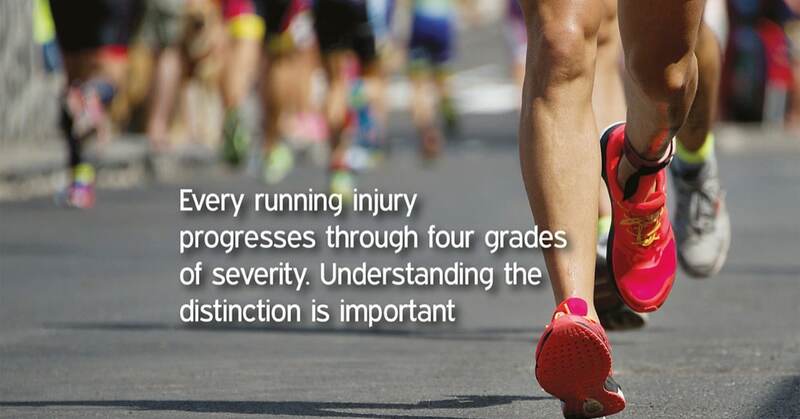 There are two types of injury in sport, extrinsic and intrinsic. 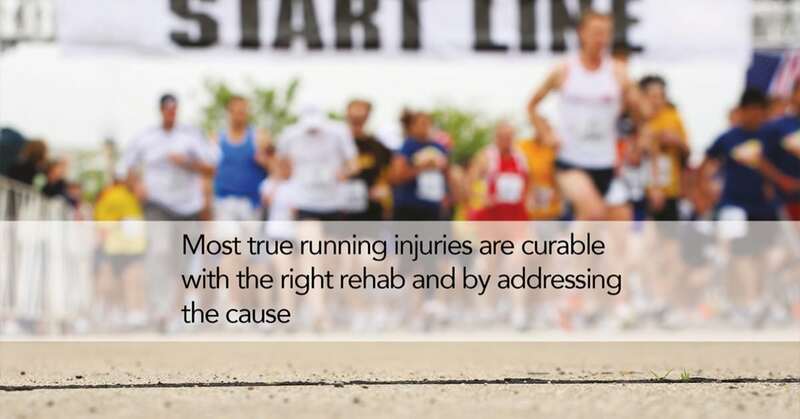 Extrinsic injuries are often traumatic and the good news is that they are not often applicable to runners. The athlete can’t usually control this type of injury; for example, a footballer can’t prevent a knee injury caused by a bad tackle, a rider may sustain concussion when coming off a horse or bike. However a runner could suffer an impact injury by slipping over (my advice is to wear the correct shoes in bad weather) or possibly get bitten by a dog – never run directly towards dogs even if you feel you have right of way! Intrinsic injuries occur through either misuse of the body or sports equipment. They can be traumatic in nature, a badly torn muscle or tendon happens quickly and often without much warning. Although of sudden onset there is almost always a cause, perhaps you just didn’t warm up properly. The worst type of running injuries are…..
Running injuries that come on gradually; niggling pain when you run but fine when you stop escalating to pain at rest and then inability to run! Stress fractures, Achilles tendinitis, plantar fasciitis, Runners’ knee are all examples, to name but a few. These overuse intrinsic injuries are the real bane of the runners’ life and as a sports massage therapist I see many people that are seeking treatment for one of these blighters. The culprit is usually repetition; as you stride you make the same movement over and over and over again so the root cause of the problem is often inappropriate training loads. We should also consider the body type of the injured runner and what type of footwear they have chosen. So almost all running injuries are not an act of God. To heal them successfully we must determine the cause as well as treating the symptoms.